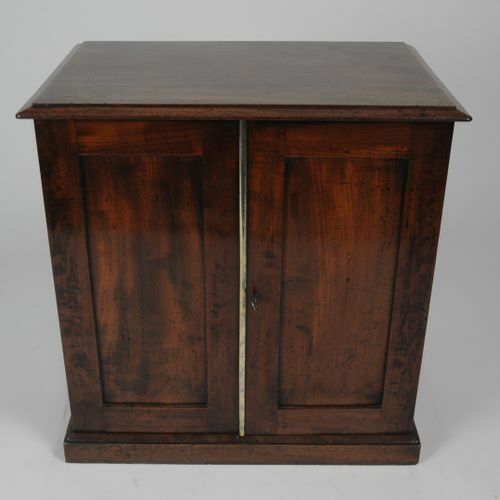 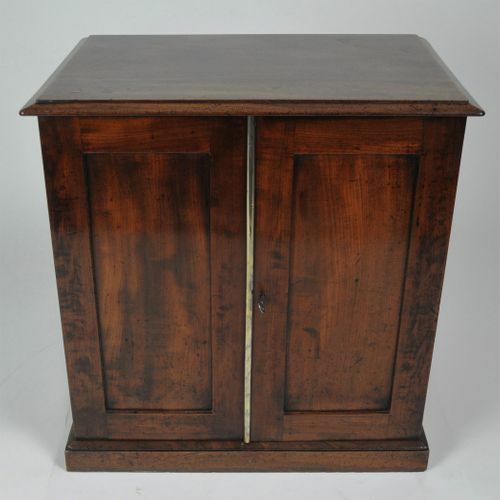 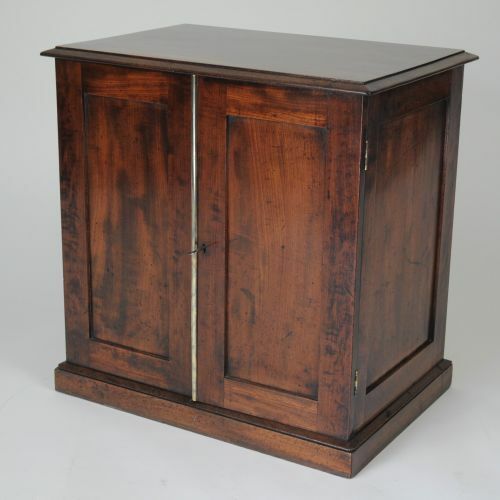 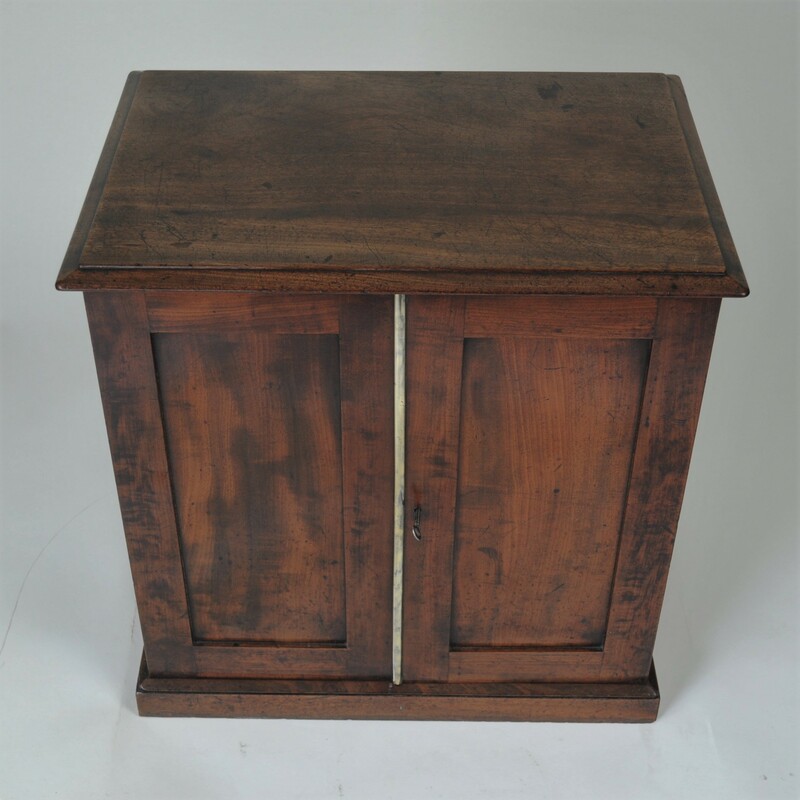 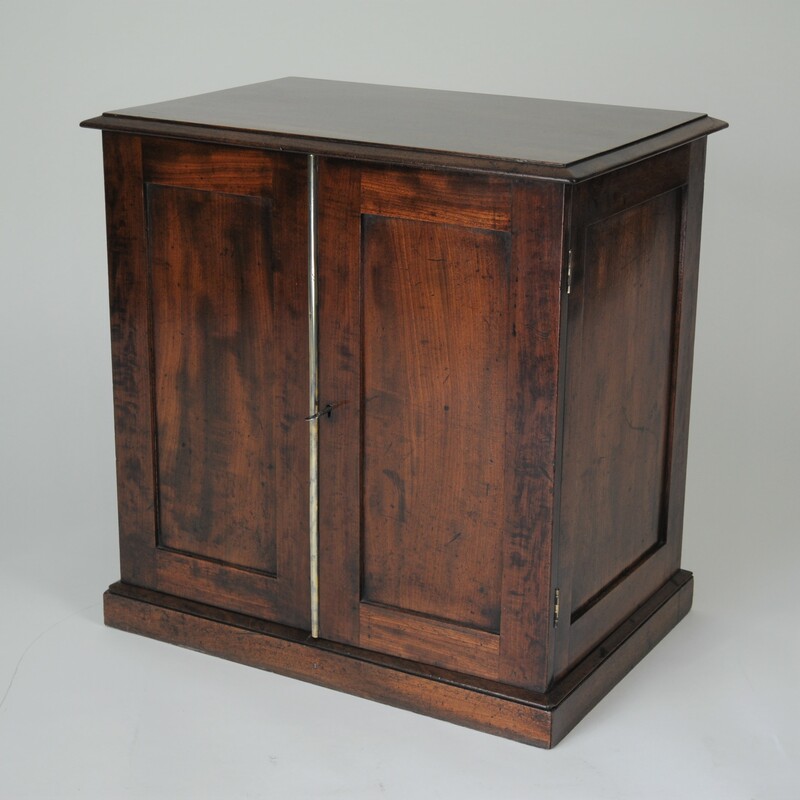 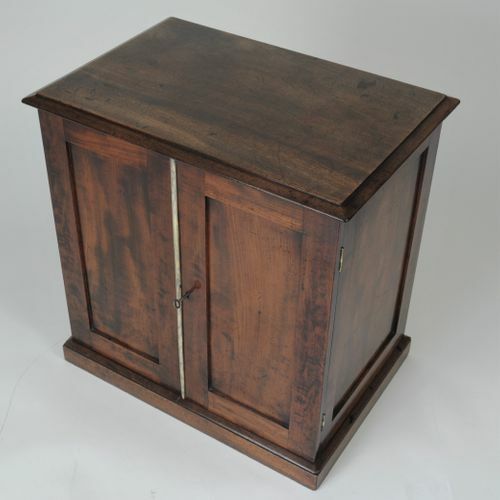 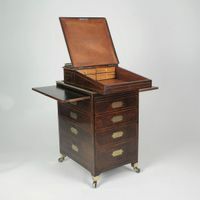 A good quality early 19th century figured mahogany collector's cabinet of small size. 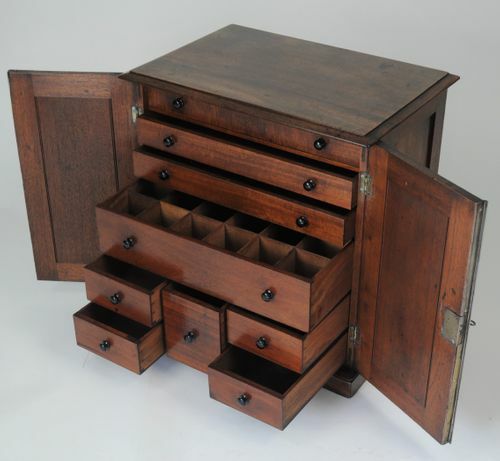 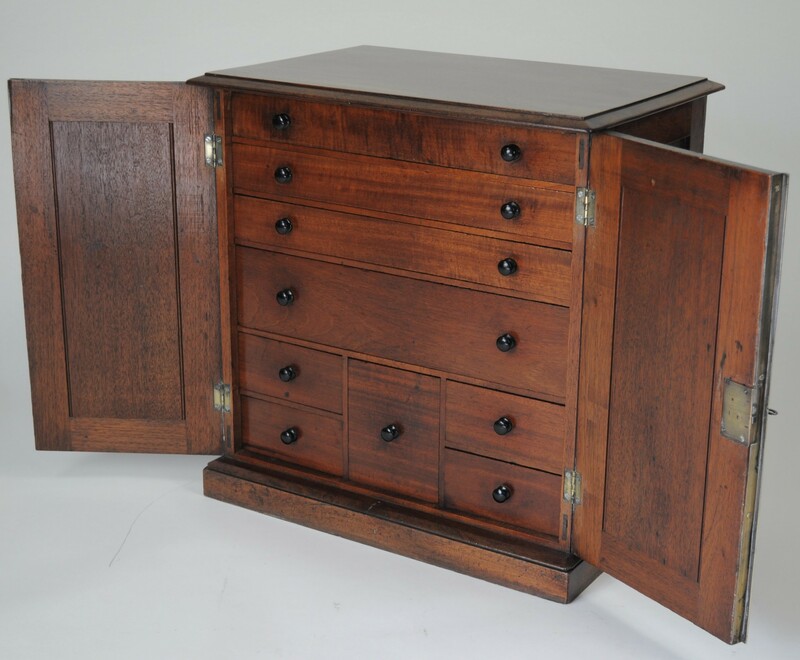 With two panelled doors enclosing an arrangement of various sized drawers fitted with the original handles. 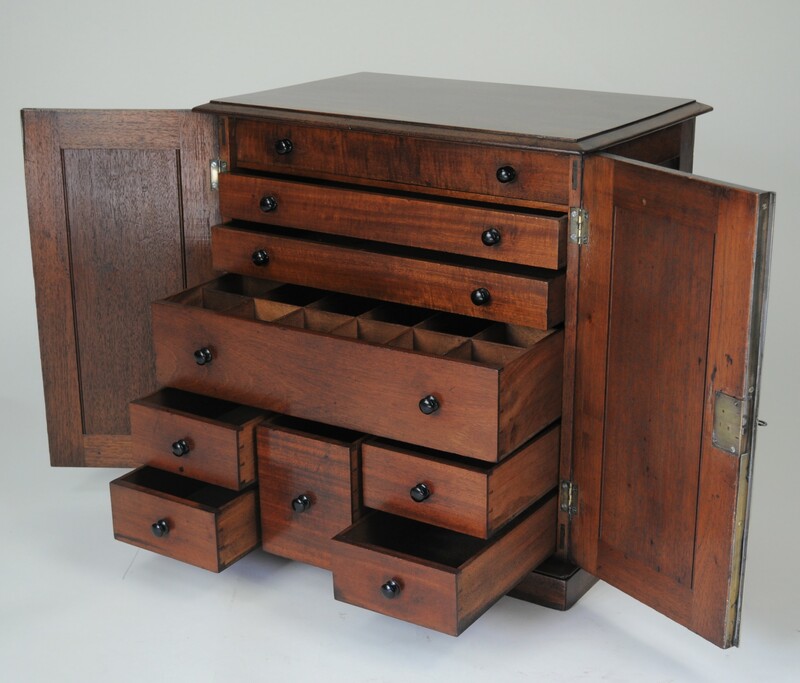 Original condition and with rich colour and patina.